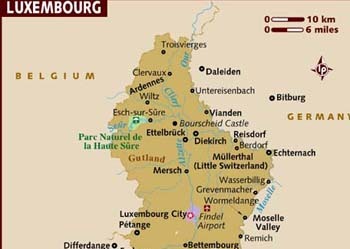 The Luxembourg Foreign Minister is to enter into negotiations with Sri Lanka on an agreement for the ‘Avoidance of Double Taxation and the Prevention of Fiscal Evasion with respect to Taxes on Incomes’ between Luxembourg and Sri Lanka, states the Embassy in Brussels. Luxembourg has provided a grant of Euro 285,000 for the financing of humanitarian projects in Sri Lanka. The Ministry of Foreign Affairs of the Grand-Duchy of Luxembourg has informed the Embassy of Sri Lanka in Brussels which is concurrently accredited to Luxembourg that a grant of Euro 200,000 will be provided for humanitarian projects in Sri Lanka implemented by the World Food Programme (WFP), while Euro 85,000 would be provided for humanitarian projects implemented by Caritas International. In March this year, a Sri Lanka delegation led by Secretary/External Affairs Romesh Jayasinghe, including Ambassador Ravinatha Aryasinha held bi-lateral talks with Luxembcurg Deputy Prime Minister and Foreign Minister Jean Asselborn and briefed him on developments in Sri Lanka. They sought the support of Luxembourg towards Sri Lanka’s post-conflict recovery, as well as in encouraging investment in Sri Lanka from Luxembourg. Investment opportunities in Luxembourg were further explored in May this year during a visit of a delegation of the Sri Lanka-BENELUX Business Council of the Ceylon Chamber of Commerce which was visiting Luxembourg for the first time. They participated in a round table discussion on “Trade and Investment Prospects in Sri Lanka”, jointly organized by the Embassy of Sri Lanka in Brussels and the Chamber of Commerce of Luxembourg. The Minister of Foreign Affairs of Luxembourg has also agreed to enter into negotiations with the Government of Sri Lanka on an Agreement for the ‘Avoidance of Double Taxation and the Prevention of Fiscal Evasion with respect to Taxes on Incomes’ between Luxembourg and Sri Lanka. The absence of such an agreement has been seen as a limitation in attracting investment from Luxembourg. It is deemed that this agreement would encourage Luxembourg entrepreneurs to invest in Sri Lanka particularly in the service sector with special Focus on IT and IT enabled services and financial services.